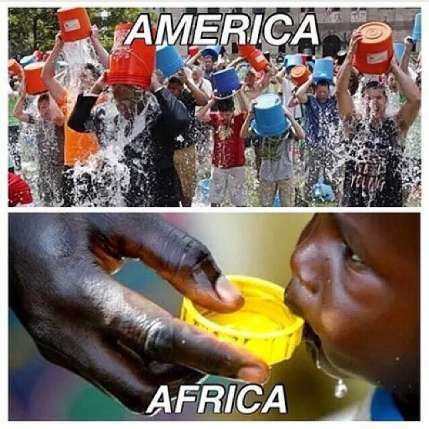 Today it came to me for the second time – the ice bucket challenge. Some colleague from the entertainment business nominated me to participate in a campaign that from the beginning I found ethically questionable and which to participate in I refused already once, quite in its beginning. According to my character, I don’t have the tendency to get into hypes. When a mass of people runs after an alleged social benefit feeling great to show how good they are, I usually feel uncomfortable and pushed to do further research. The mass dynamic feels utterly dangerous to me in any issue, especially when it addresses celebrities in first place to get more followers. I mostly sense brainless effort and egoistic manipulation. The ice bucket challenge got me during my vacation on a boat – there would have been nothing easier than throwing a bucket full of ice cubes over me and benefit from it defying the exceptional windless heat of this summer in the Mediterranean. Do we really help and who benefits? The annual death rate of people who die because they have no access to clean water is 3,400,000. The annual death rate for the target of the ice bucket challenge, the disease with the name ALS, is 5,600. Thank you, Matt Demon, Patrick Stewart and a few others for at least acting consequently. “The nationwide organization Doctors Against Animal Experiments with around 1,400 members warns that cruel and pointless animal experiments financed by the well-intentioned action. The ALS Society makes no secret of their research to” “set to, as it says in the live-defying jargon of animal experimenters” animal models, says Dr. med. Vet. Corina Gericke, board member of Doctors Against Animal Experiments. Mainly genetically engineered mice and rats are used, which by turning of a gene have similar symptoms, such as ALS patients. The animals are suffering from progressive paralysis and die painfully. 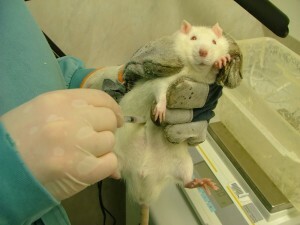 “It has been known for years that animal testing for ALS research, a complete misnomer,” explains veterinarian Gericke. I guess that all the mentioned facts and numbers are well known to the promoters of this worldwide campaign that presents itself oh so do-gooderly. The campaign was certainly not well thought for Northern territories.